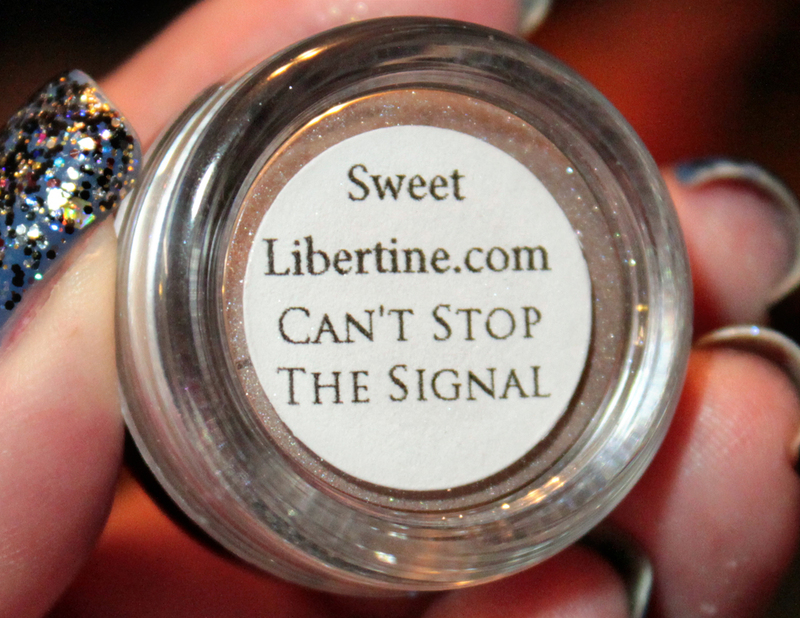 Sweet Libertine Can't Stop the Signal and Reaver's Space - plus a giveaway! 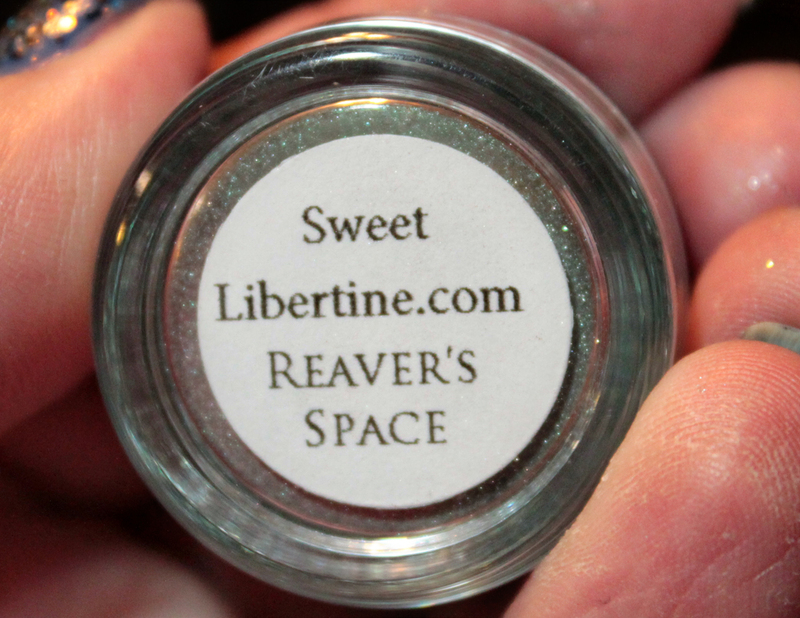 I am seriously loving Sweet Libertine Mineral Eyeshadow. I own several, and have received several sample bags with my orders, and I love wearing them. The colors are great, such a variety, and they have cool catchy names and themes! Case in point - The Serenity collection! This one is kind of close to my heart because they took suggestions for names on the Sweet Libertine Facebook page, and one of my names for this collection was chosen! 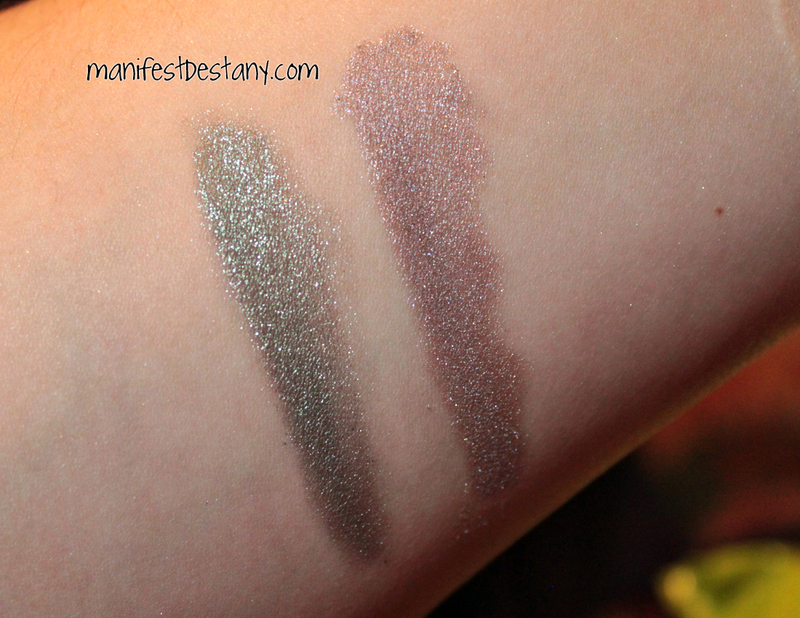 I've got two of the shadows to show you right now, and one of them to giveaway! Here's a quick arm swatch of Reaver's Space, on the left, and Can't Stop the Signal. Both are part of the Serenity collection and are currently available for purchase. Let's start with "my" shadow, shall we? 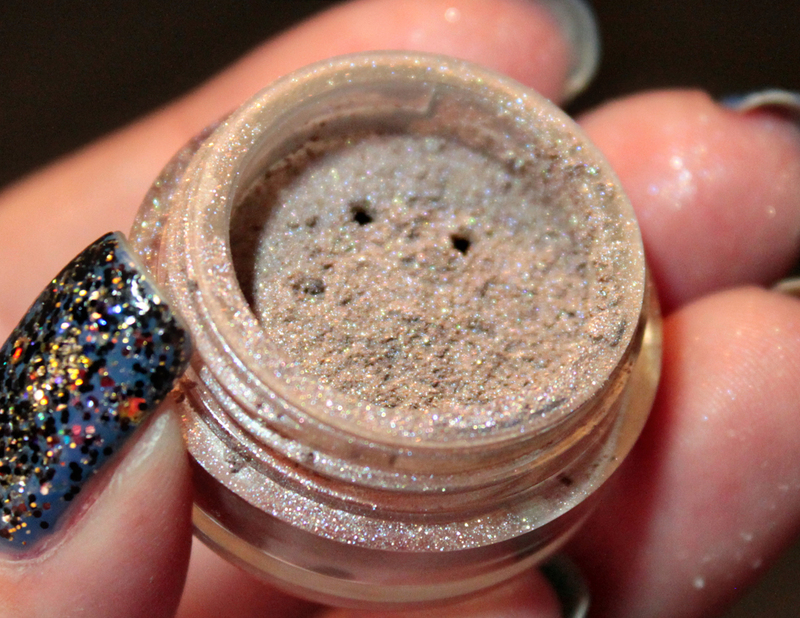 haha I call it mine because I suggested the name for it :) It's called Can't Stop the Signal, and is a purplish brown shifty pigment. 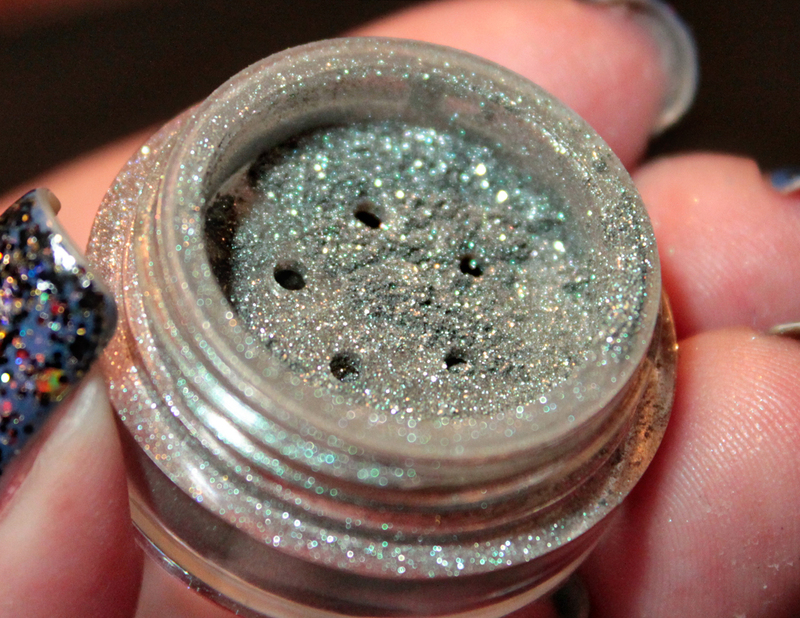 The other one I have from this collection is Reaver's Space, a frosty deep green sparkly pigment! How would you like to win your own pot of Can't Stop the Signal? Wait for the Rafflecopter widget to load. Entrants must be 18 years or older. It is open Internationally, however, once the package leaves my hands, I cannot be responsible for it. One entry per person. Duplicate entries will be deleted. Winners must provide me with a shipping address, so that I may mail your winnings to you. I will contact the winners and he/she must reply to my e-mail within 48 hours or I will draw another winner. Always check the Rafflecopter widget to see how much longer you can enter - entries will be accepted until 12 p.m. EST on February 4 . Providing an e-mail address is the ONLY mandatory entry. I will need that to contact you if you win. You can earn additional entries after you give an e-mail address. There will be one winner.